Has anyone else seen the movie “Under the Tuscan Sun”? I have. About 20 times. It is the movie I watched the day I was offered a job in Italy. (Note: The next day I watched National Lampoons European Vacation, which is also awesome). Anyway, in Under the Tuscan Sun, when Francis goes to the beach with the gorgeous Italian man and she drinks the homemade alcohol, she is drinking Limoncello. In Italy, after a meal in a restaurant you will usually be offered a coffee and/or a digestif, like Limoncello. It is served cold in a small glass or shot glass and its strong lemon flavor helps wake me back up after a big long Italian meal. It is usually a bright yellow color, but there is also a creamy version that is white, I love them both. Limoncello is also spelled Lemoncillo, like on the bottle pictured above, I am not sure what the difference is, but I always spell it Limoncello. This is a very basic Italian Liqour, made with lemons, alcohol, and sugar. The lemons should be the giant ones from Sorrento, because they have thick skin and very little pith, but they can also be your regular American lemons. Grain alcohol is usually used, but I have heard a lot of people say when they make Limoncello at home they use vodka, which makes it easier to drink. To me, a cold glass of limoncello on a sunny afternoon is the epitome of summer. There is nothing that says you have to wait until after a meal to enjoy limoncello, or that you have to drink it out of a small glass, go ahead and pour yourself a nice big mug of limoncello and enjoy the day! 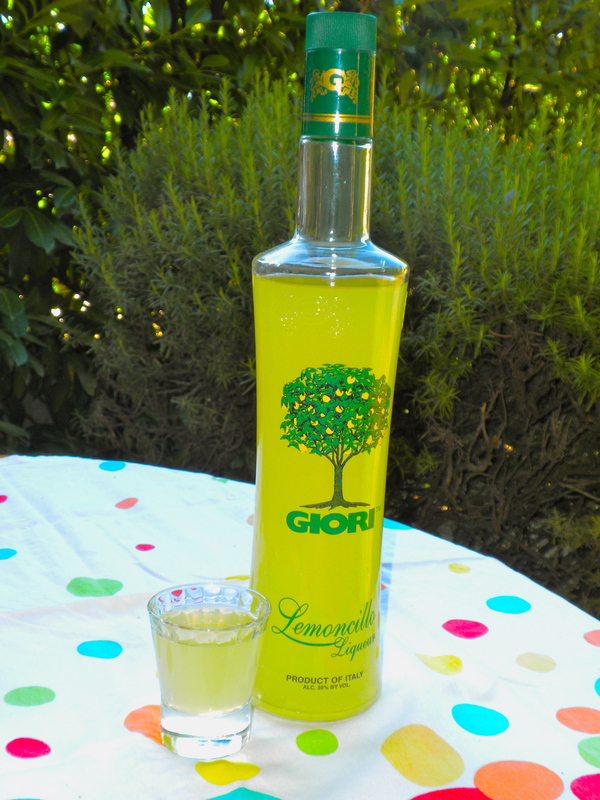 If you want to make your own Limoncello, here is a great Limoncello Recipe ! This entry was posted in Uncategorized and tagged Food, Italy. Bookmark the permalink.